Aloha Rat Racers! I just received word that this year, the 15th Annual Rat Race is the finale of the best paragliding competition, clinic, and party the world has ever seen. This year is my 14th year of hucking and plucking hundreds and maybe even thousands of pilots at Woodrat Mountain, Oregon. Many Hawaii pilots have flown, raced, trained, and had the time of their lives during past Rat Races. 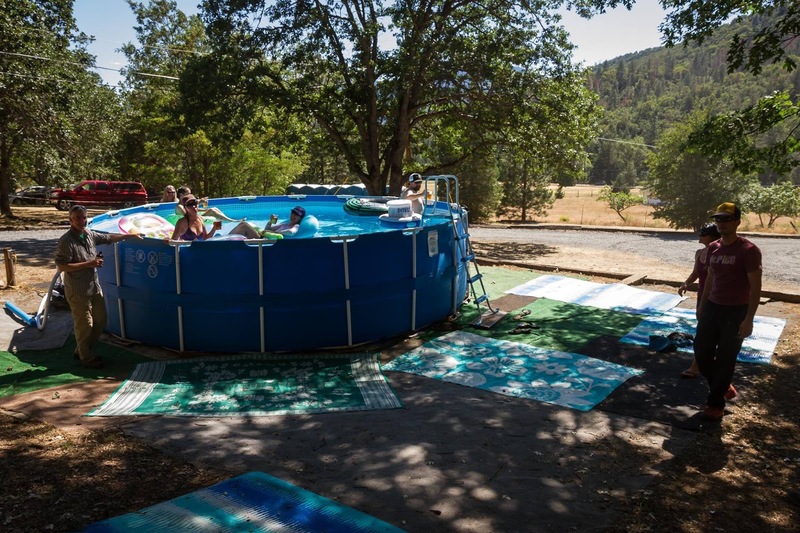 Mike and Gail Haley are moving closer to their kids in Portland and have decided this is the last year to run the Rat Race at their amazing property in Ruch, OR. Over the years the Rat Race has grown to include the US National Paragliding Championships, the Sprint Classic race for those not flying comp wings, and a Super Clinic run by none other than Kari Castle, the former 5 time world champion hang glider, and US National paragliding champion along with Ken Hudjorgenson who has been teaching HG/PG for over 40 years. 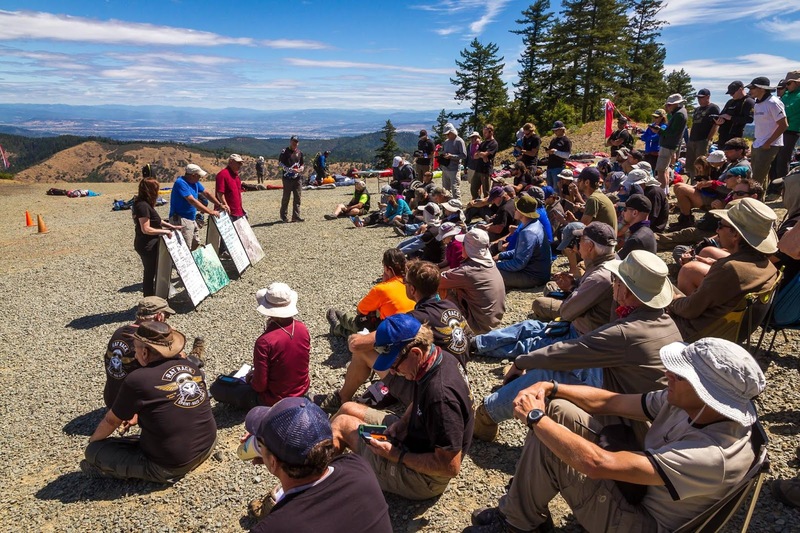 Woodrat mountain is located in Ruch, OR between Grant's Pass and Medford, OR in the Applegate Valley. With 2 huge launches capable of handling two hundred pilots or more with a North and West facing slopes is ideal for beginners and comp pilots. Huge LZ's are abundant in the valleys and very friendly wineries to land in. 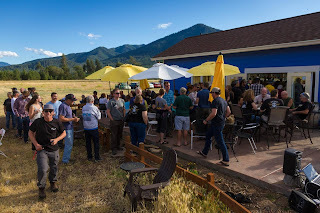 Camping, fishing, hiking, World Class Wineries, and close to major shopping Applegate valley has something for everyone. Usually, the town is very sleepy and is a tourist destination during the summer months. 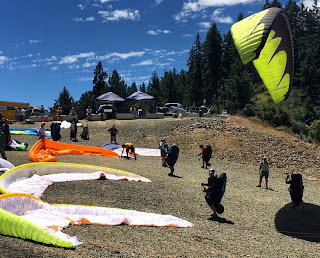 The local paragliding and hanggliding club has some of the best XC pilots in the west. Typical XC flights flown by the locals are 50 to 100+ miles. Big fat thermals and typical convergence make this flying area challenging but consistent. If you have never been to the Rat Race but always wanted to go, this is your LAST chance. Registration is open now for the Race, Sprint (intermediate), and the Super Clinic (highly recommended for those seeking XC and thermal training). Medford airport direct from SF on United Express with a 30 min drive to Ruch. Or fellow pilots with homes for camping or room rentals at their places in Ruch such as Forest and Ravens otherwise known as "Ravens Landing" (yes, you can land there) or Christina's ranch around the corner. Food and beer at the Ruch General store is good and cheap. My favorite is the breakfast burrito in the morning but they go fast. They also sell great Oregon Micro beers, local wines, and everything else under the sun. No hard liquor. That you have to purchase in Jacksonville nearby at Local legendary pilot Paul Murdochs store 'Gary West meat and delicatessen. But the fun begins when you return to HQ. There's a big pool, workout areas, BBQ, beer trailer, loud music, and lots of horseplay and pilot camaraderie. Classes are usually held around dinner time with some of the best US and World pilots given lessons on Thermal etiquette, XC, flying techniques used by World class pilots, etc. 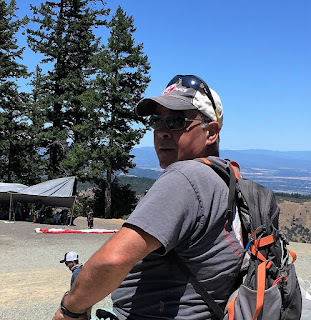 This is the most amazing paragliding scene in the US and second only to Coupe Icare in France. I hope to see you all there for the last hurrah this year. "We huck em, we pluck em"
Sad to hear a great legacy will be ending. I went there before flying as a Hawaii Monkey Driver. After watching so many launches, I thought, I can do this. My next trip to Rat Race was as a wind dummy. My last trip, I went into the Sprint Race, it was a blast. Since then I went to other comps and Pete's right, this one has been run top notch. If you never have been to a comp, this will be the one not to miss, especially if it is indeed the final. I am sure there will be a barrel of pilots attending. With this news I am tempted.........I still have FOMO......Rat Race is awesome. Thanks for the write up Pete you should copy this to the Rat Race Blog. Just talked with Christina at the Crash Pad. She has camping and house options open for the Rat Race. Fire pit to hang around at night. Lots of wine, beer drinking and smoke. Come on everyone we might as well all go. Even if not in the sprint or race or clinic just to be there. Again there are Outer island pilots as well. I just don't know all there names. Does anyone need a place to stay in the Woodrat area? We still have space in a rental house near the Longsword Winery. Joe and I are in too!!! Just trying to dial in a place to stay. Can I pay anyone to take my glider bag with them to Woodrat? I will pay $100 plus any baggage fees. Reason: I am flying to about 4 cities the week prior, all on standby. I would be indebted to you for a week at least.